Following Brian’s comments on that last post, I began thinking about a scenario that often happens with package bees. 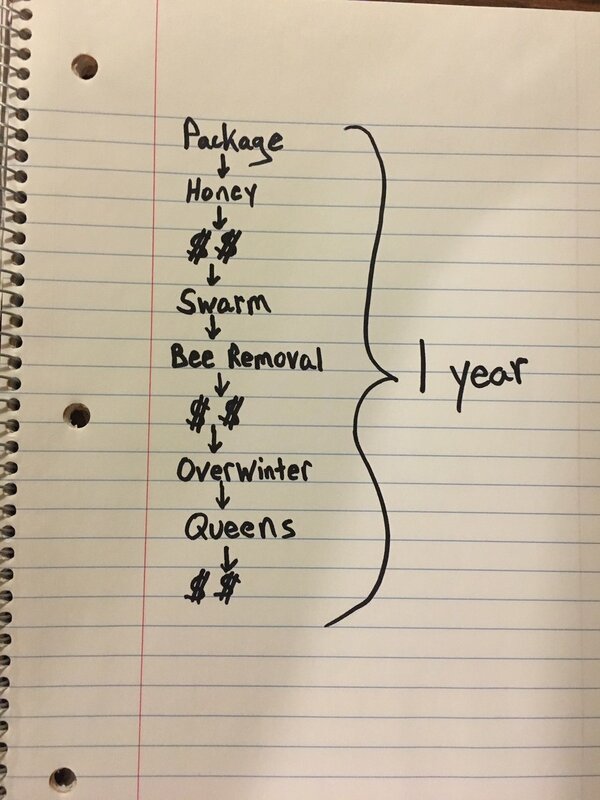 It occurred to me that this oft repeated scenario is beneficial to both the package folks and anti-package beekeepers. And so often we help each other while pointing fingers and dismissing the other party. See how easy that was? This happens all the time. We really can get along. To the benefit of each party. Now how about you try it? I’ve taken care of the hard part—beekeeping. I can think a number of other issues tearing this country apart— guns, drugs, immigration, abortion, racism, sexism, taxation, healthcare, income inequality, etc… you name it. Get to work! I want solutions! Compromise! Nuance! Granted, none of these are quite as complex as the beekeeping problem. That’s why it took me a few days to figure it out. But you can do it!